Never Waste Your Money on Batteries again! You can charge Fylina Bike Front Light from your computer or any device with a USB port. Eliminate the leading cause of failure, even the USB connector slot is protected against splashing water from any angle. 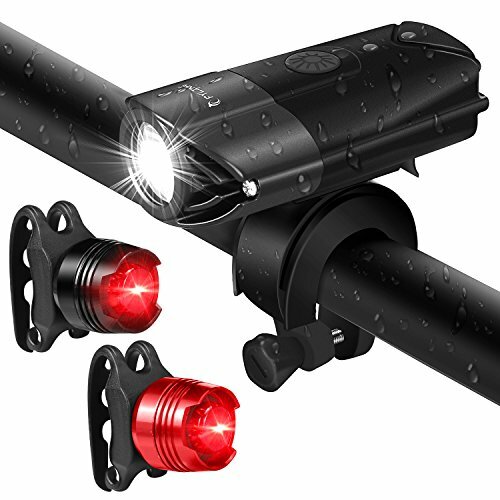 Allows you to press and slide the headlight out without removing the mount bracket, more convenient and thief-proof. 1. To avoid hurt your eyes, do not look at the light directly when the light on. 2. If you need a long time lighting you can carry a portable power bank, promptly switched to an external power supply when the interior battery is power off. If you have any questions about this product by FYLINA, contact us by completing and submitting the form below. If you are looking for a specif part number, please include it with your message.